Some innunguait point the way to a special place, as is this miniature seems to be doing. 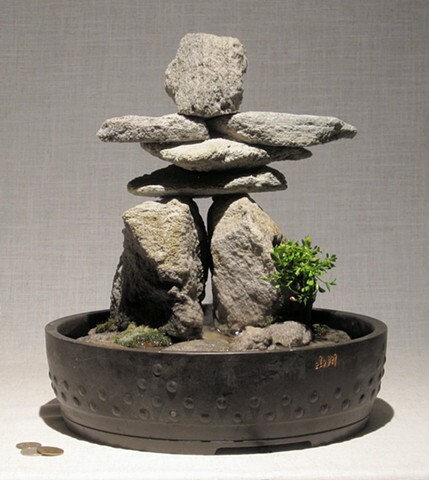 During the brief arctic summer, tiny plants emerge on the rocky landscape and on the stone sculptures erected there. *Hallendy, N. (2009). Tukiliit: the Stone People Who Live in the Wind. Fairbanks: University of Alaska Press. pp 28-29.